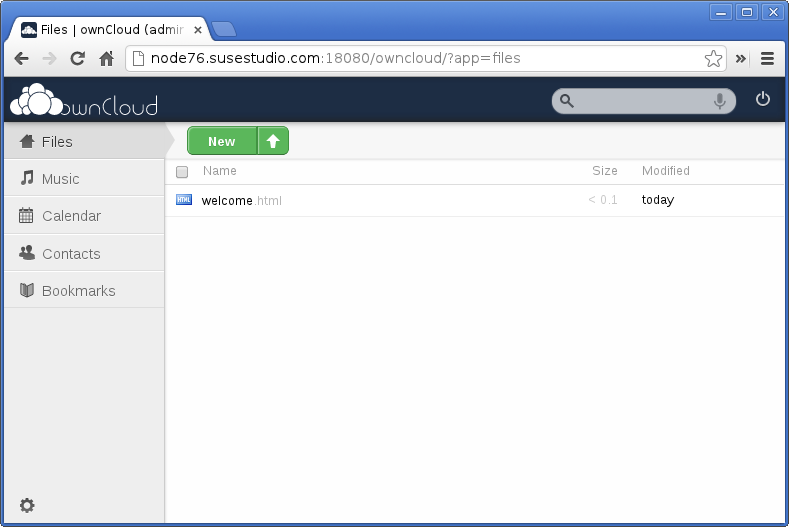 The ownCloud community released ownCloud 4.5 today. It's a big release coming with quite some new features. On the heels of the ownCloud release I updated my ownCloud in a box appliance, which provides a very simple way to try ownCloud on a multitude of different platforms. It comes on a shiny new openSUSE 12.2 and also adds the new KVM format, which runs happily on native KVM as well as on an OpenStack cloud like SUSE Cloud. Give it a try. It's easy. ownCloud is an open source file sharing service, which gives you control about your data. It's easy to install and run on the servers or services you choose. So you have access to your data on your own terms. It's your ownCloud. ownCloud in a box is a fully pre-configured software appliance, which you can run on whatever system you want, physical servers, virtual servers, or in the cloud. It's based on openSUSE and built with SUSE Studio. But as a user you don't have to care. Everything comes ready to be used as your ownCloud in a box. It's great to see the ownCloud community thrive and push out release after release. Keep going!